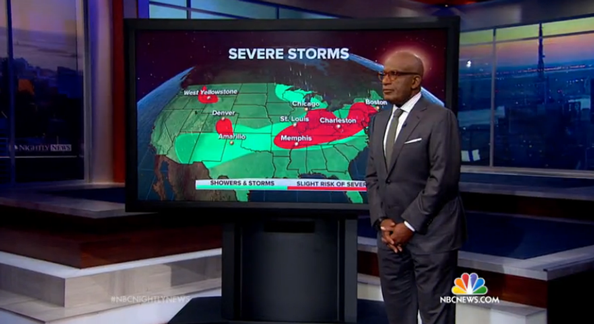 Twitter user @SondoBill noticed that NBC’s Al Roker appeared to get “sainted” on Monday’s “NBC Nightly News” when the sun in a weather map behind Roker gave his head a glowing halo. 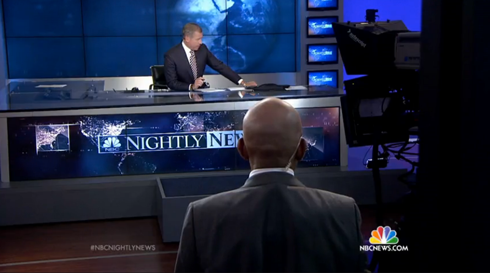 Roker was making an appearance on “Nightly” to discuss the weather when a graphic showing severe storms across the country featuring a virtual sun behind the earth’s horizon ended up being perfecting positioned behind his head. 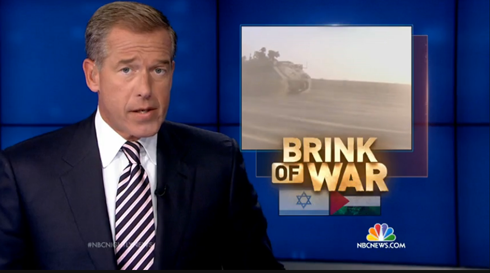 As he has done previously, Roker reported from across anchor Brian Williams‘ anchor desk, using the background of the former “Rock Center” set as his background along with a large freestanding monitor. 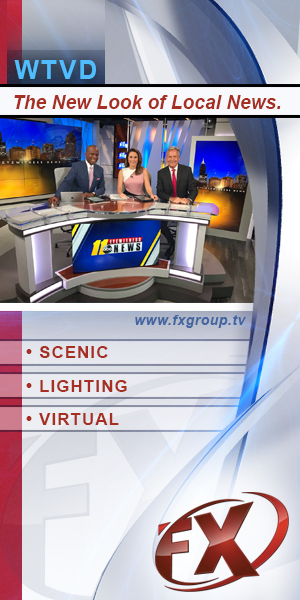 On Monday’s edition, producers also opted to make use of a cross shot when Roker tossed back to Williams. In the shot, the camera that Williams turned to after Roker’s report is visible, along with the back of the monitor used by Roker. 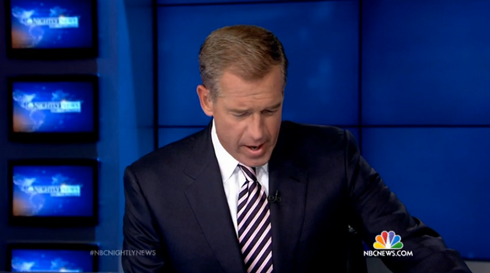 After Roker’s report finished, the show cut to a one shot of Brian, which was shot from a different angle that is typically used, as evidenced by the vertical monitor stack on the left side of the video wall being visible before the camera adjusted to accommodate an OTS graphic.